HELP REAL ESTATE AGENTS & BROKERAGES MAXIMIZE THEIR BUSINESS. Agent Elevation is a full service Digital Marketing company geared specifically toward the Real Estate community. Having being founded by a Real Estate agent and an expert digital marketer, we pride ourselves on not only understanding the marketing needs of agents and brokerages, but also knowing the strategies, tactics, and tools to be successful. When it comes to being a Real Estate agent, your name is your brand and business. What most agents and brokerages don’t realize is that they need to have a digital marketing department in their business. While other agencies focus on a number of clients and niches, we focus solely on Real Estate. Don’t you want your digital marketing team to only focus on getting you new listings, marketing your current listings, and growing your brand? Using the most up-to-date marketing technologies, ad networks, social networks, and creative media, we help agents elevate their business. Whether you are a new agent looking to develop your base, veteran agent looking for new ways to market your listings, or a brokerage who wants a comprehensive strategy, we can put together a comprehensive digital strategy that will help meet your goals! Our 3 Keys To Successful Campaigns. When it comes to running a successful campaign, you need to have a plan. We breakdown our plans into three categories: Media, Targeting, & Channel Strategy. Imagery tells a story, share a feeling and reveal information to your potential client. We utilize our media department to develop stunning imagery, including: photos, HD Video, 360 video, & aerial. Different people buy different houses, are you targeting the right ones? We create personas around different types of buyers/sellers. Those personas drive our campaign targeting. Potential clients browse the internet across multiple channels & devices. We build campaigns that are optimized across channel specific networks (Google, Facebook, etc..) and can be consumed on multiple devices. Meet Your Team Members, Our Gurus. 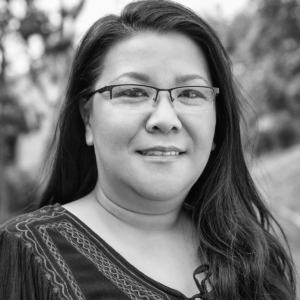 Aileen was raised in the Bay Area and graduated with a Bachelor of Science degree in Political Science from Santa Clara University. She found her way to San Diego via Dallas, TX and has worked in the Pharmaceutical industry in operations for 10 years and the Banking and Mortgage industry on the IT side as a Sr. Systems Analyst for over 15 years. Now settled in San Diego with her two children, she has found herself exposed to a whole new side of modern business. Aileen has a background in business process, information management, and organizational planning. For the last two years she has been behind the scenes providing support to Social Media Promotions and Agent Elevation and will continue to provide excellent service and communication. 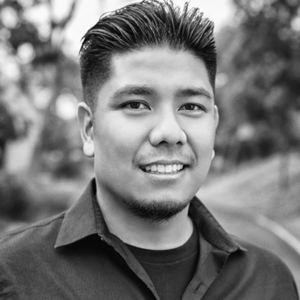 Arcadio (pronounced R-K-D-O), originally from the Bay Area, first moved to San Diego in 1997 to attend SDSU and study Economics and Computer Science. After school he became series 7 licensed and worked in the finance industry selling widgets for corporate banking institutions. For the last 2 years he has been dedicated to helping small businesses, realtors, and insurance agents build a strong online and social media presence. Casey grew up on a farm in Central Washington. He moved to San Diego in 2010 in search of warmer weather and more challenging digital marketing opportunities. He has an extensive background in photography, videography, website/SEO development and social media branding. 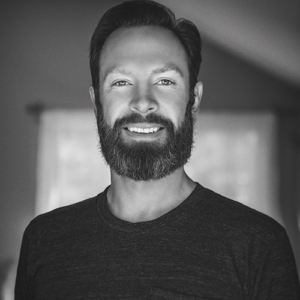 As a jack of all trades Casey enjoys using his industry knowledge to help companies create and implement their branding strategy across all platforms. We’re Here To Help Elevate Your Business!